When my sister had a stop over in Seoul for more than 30 hours, she brought with her a gift from a friend which was wrapped in bubble, foam and sealed all around in packing tape. What we found were two bottles of tuyo ~ spicy gourmet and in olive oil. I have read about bottled tuyo but never tried them until now. 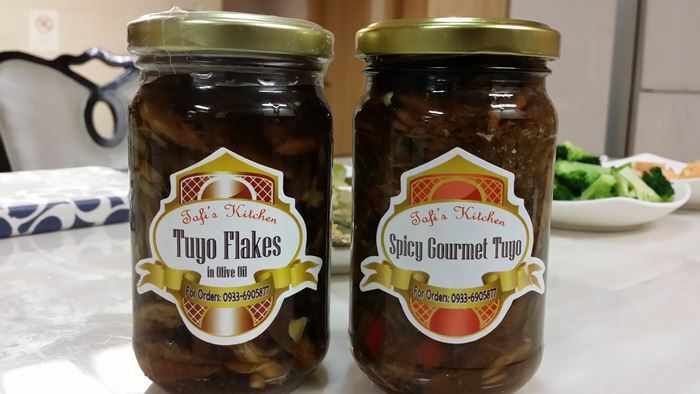 We decided to try the spicy gourmet tuyo in a bottle for breakfast. As you can see, the garlic rice is not white as I mix white rice, brown rice and other grains when cooking. The spicy gourmet tuyo is not too spicy for my taste and quite salty. My sister said to just eat in moderation because of the saltiness. After finishing the bottle of spicy gourmet tuyo. I had “tuyo in olive oil” for days ~ I just put a tablespoon on top of the rice then I sprinkled lemon juice to minimize the saltiness. 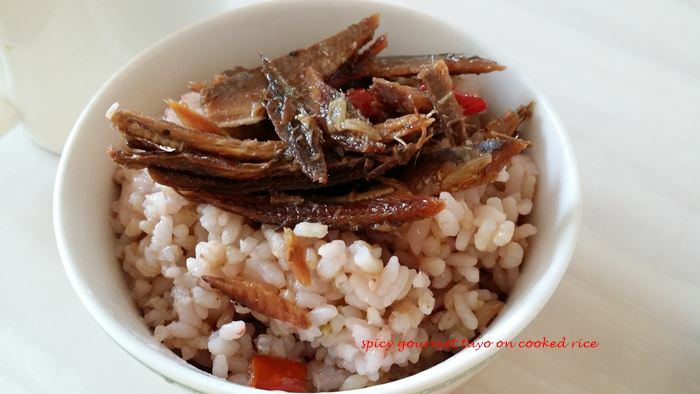 Oh I did the same with spicy gourmet tuyo. I wish that Magkapatid Mart, the store that sells Filipino goods will have them soon so I can have my tuyo in a bottle for breakfast again! I like those too. It is easier to get those than fry the dried ones, but I still prefer the dried and fried ones. Luckily I found a Filipino shop here who carry those gourmet tuyo. 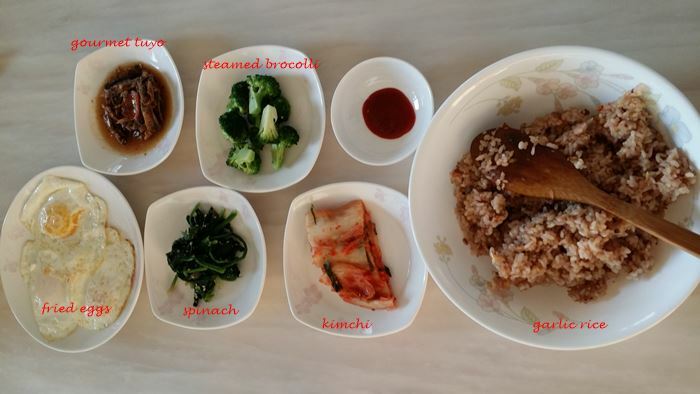 It’s an easy go to meal when I’m too lazy to fry tuyo. Musta na? Hi Kayni! That’s why I satisfy myself with Pinoy goodies when I visit my mom in California ~ lots of Pinoy stores and restaurants.